A couple days after Christmas in 2012 a couple walks out onto the back patio at The Olde Fort Pub. It's snowing and the young woman seems delighted by this, tilting her head back to catch snowflakes on her tongue. Another couple joins them. At one point the first young woman turns her back to the others to look out over the patio railing. As soon as she does the first young man drops down on one knee. When she turns around, he's holding a ring. We know this because it was all caught on The Olde Fort Pub's surveillance camera. And although there's no sound, it's clear the young woman says "yes." The proposal took place December 28, 2012. "My brother, Nate, I believe was bartending and mentioned it to me several days later," says Michael Arnzen. "Luckily it was still on the camera hard drives and I quickly made a copy and began trying to figure out who they were." Arnzen has long been part of the Pub family. His mom, dad and Mickey Foellger opened it in 1977. Arnzen says he showed the video to everyone in his family but they were unable to figure out who anyone was. "I spent some time sending Facebook messages and making phone calls to people we thought might have talked to them that night or knew who they were but we were just unable to figure it out," Arnzen says. "I must have made 30 copies of the DVD to send to people and no one could help. Eventually, and unfortunately, we got busy and time just kind of passed along—but we always hoped to be able to give them a copy of the video because it was such a special moment." Arnzen also hopes to meet the couple. "We'd love to have the group back and treat them to dinner and hear about the wedding and how their lives have progressed since then," Arnzen says. "And we would definitely love for them to have a copy. It's just a shame we haven't been able to give it to them sooner!" 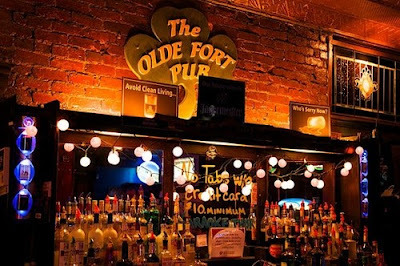 This couple's proposal isn't the first to have happened at The Olde Fort Pub. "We have had several proposals at the bar, and even more anniversaries, birthdays and wedding celebrations," Arnzen says. 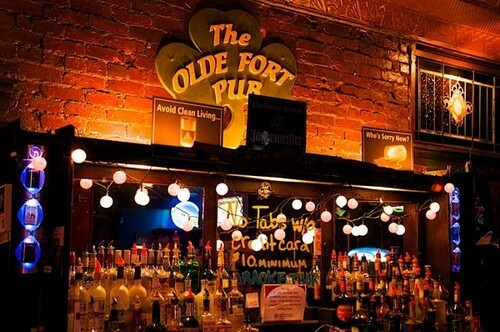 "So many people have met their significant others [at The Olde Fort Pub]. Greg and Lynn Combs met there. Terri and Ken Schaefer of The Door Company met there. 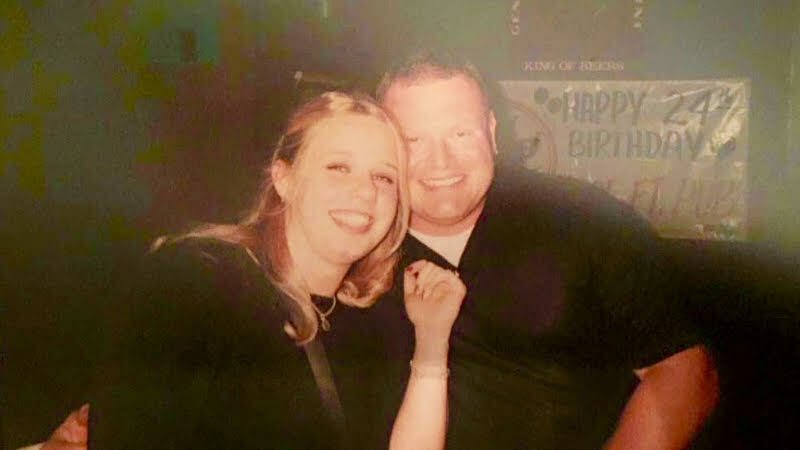 FTPD Officer Doug Bryant and his wife Kacie got engaged in the back room of The Pub while my sister Megan was working some 14 years ago." 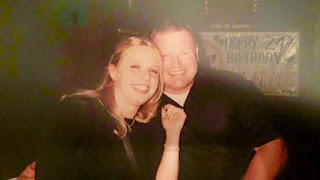 This picture marks the day FTPD Officer Doug Bryant proposed to his now wife, Katie, at The Pub. Kacie Bryant says she and Doug met at Kathy and Greg Rollers wedding. "We walked down the aisle together," Bryant says. 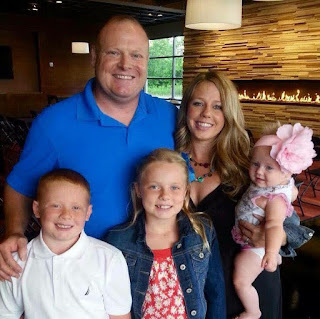 "Of course, after the rehearsal dinner and the wedding, we all went to The Pub! Four months later Doug proposed at the place where it all started, The Pub. I always joked telling people no one else can say they got engaged at The Pub but I am obviously wrong. 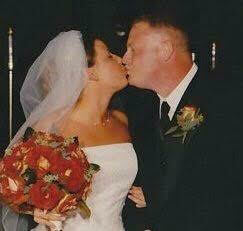 Thirteen years and three kids later, we are still as much in love as we were that night." And now the Bryants have three children. Arnzen says Brandon and Lindsey Cook met The Pub while his sister Megan was bartending and Megan later got ordained to marry them. "So many couples will stop in before their weddings to get group pictures there, too," Arnzen says. Love stories aren't the only ones the Arnzen family likes to share. Arnzen said he dad always told a story of the time a man rode a horse up River Road and brought the horse into the bar. "Apparently it was just a normal day and some guy came up from River Road, walked the horse in and ordered a beer," Arnzen says. "I think everyone was probably in shock but as far as I know he had a beer and then they went on their way." And Woody Harrelson visited The Olde Fort Pub "a couple times forever ago," Arnzen says. "Apparently he had friends locally and they would all come in and sit in the front room as a group and just have a good time. He said it was in the 80s, probably before Cheers hit big, I guess. But that's basically the kind of place [The Pub] is. Just a place for the community to meet up and enjoy themselves." The mystery couple's engagement is another tale in The Pub's storied past. 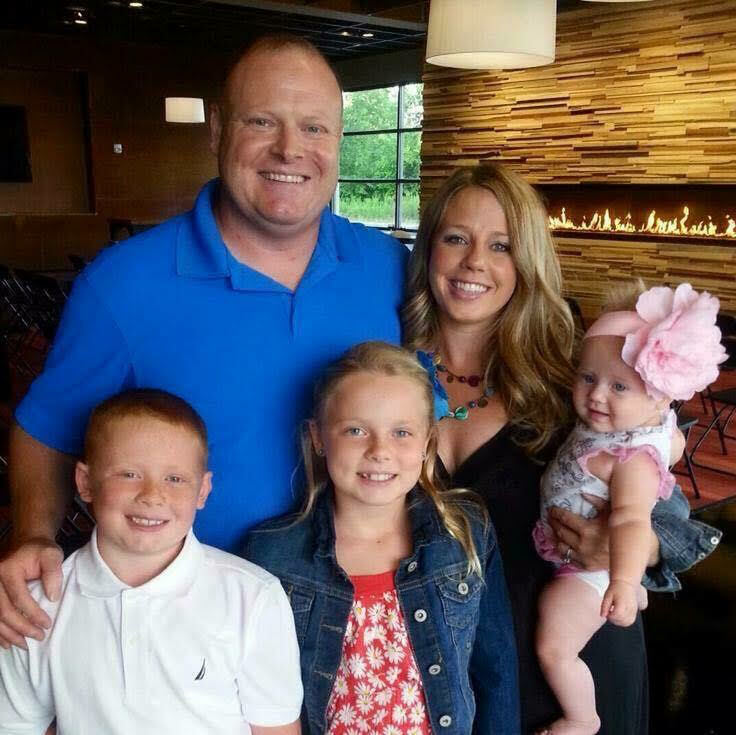 "Our family is so happy that the gentleman chose to propose at The Pub because it must have meant that The Pub was a special place for them, as we want it be for all of our friends," Arnzen says. "Hopefully they have good memories of feeling welcome, among friends and around owners and people who care about individuals and want their customers to feel they belong to something more than just another bar. We try to make it a place where everyone feels welcome, safe, secure and comfortable. Many people have met at The Pub and come back with their friends to continue their wedding celebration." Love this. Jess and Adam Foster are a wonderful couple! I'm so glad you were able to capture this moment for them! Fort Thomas Film Review: The Joys of "Joy"
Remembering the 1937 Ohio River Flood!